That's it - over half way through, only 3 more manicures to go, whose excited! I'm going to plan ahead for my last 3 manicures, as I am terrible for not knowing what I'm going to do until I sit at my nail station. I looked through everyone's designs under the #MoYou20K hashtag and there is some beautiful green designs. I went back to my plates and had a look when something on Fairytale 02 caught my eye. 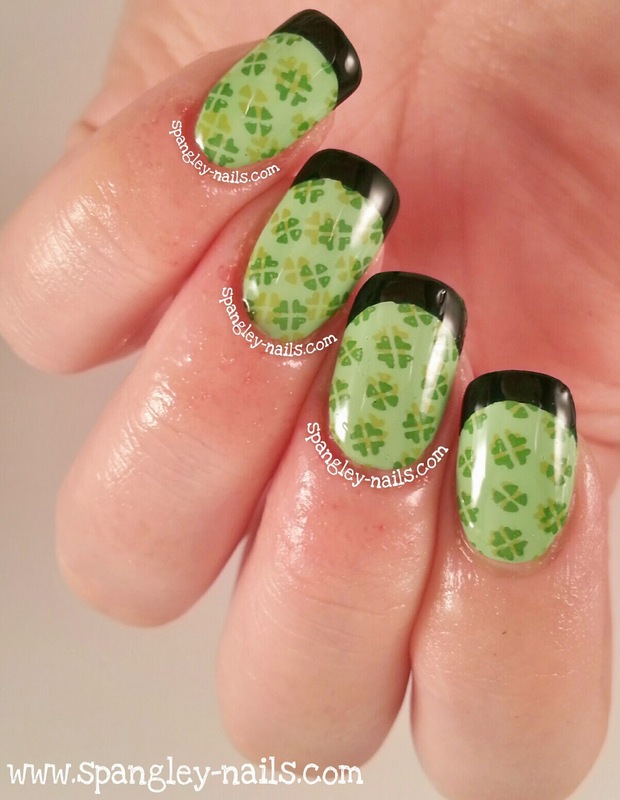 Green to me means Irish I suppose, so I have done this classy irish fuelled manicure, that, if I'm honest, would be great for St.Patricks day. I started off by painting all of my nails with Pistache. Once that was dry, I used the 4 leaf clover design on the bottom left of Fairytale Plate 02 and stamped with Lickety-Split Lime (the lighter green). 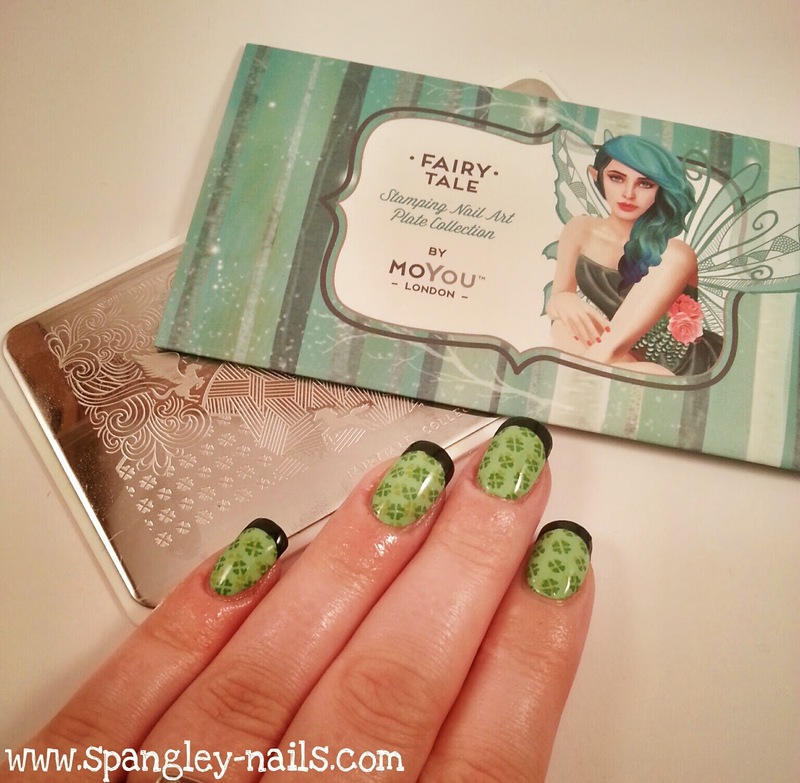 Once that was dry, I used the same design and stamped with In Record Lime on top (the darker green). Once everything was completely dry, I used my hole reinforcements to mark out the line of a French Tip. I then filled in my French Tip with Last Chance - a very deep and dark green. I know it can look like black in the pictures, but its a really dark green. Its all topped off with a coat of Seche Vite.